Home Tags Posts tagged with "Rocky Point"
Long Islanders and their friends and family members gathered on Tuesday for the Rocky Point concert series’ last performance of the year. 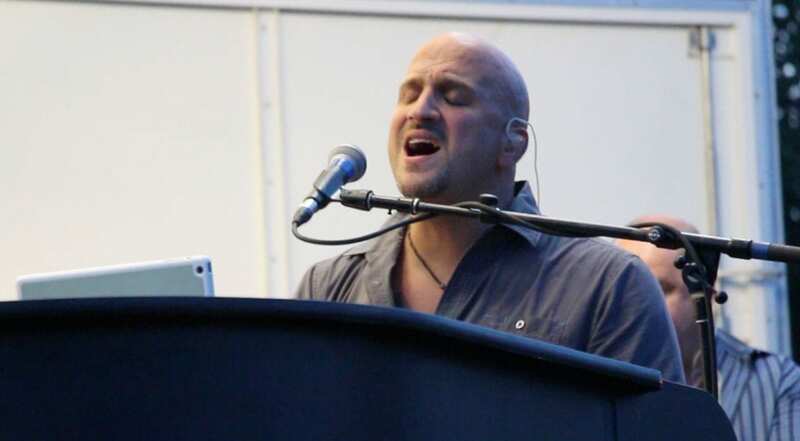 Community members danced, sang and cried during the Mark DelGuidice & Big Shot: The Ultimate Billy Joel Tribute, which began at 7 p.m The band’s performance wrapped up this year’s Rocky Point Summer Concert series, which began in early July. The North Brookhaven Chamber of Commerce alongside members of the Veterans of Foreign War were two of the organizations that attended the concert. During an intermission period, the Veterans of Foreign War were invited on stage for the audience to pay tribute to their service. Legislator Sarah Anker (D-Mount Sinai) was also among the crowd. Anker, who announced the schedule for the Rocky point concert series, joined the veterans on stage as Joe Cognitore, commander of the Veterans of Foreign War, waved the American flag. The audience members remained at the concert until late in the evening as they enjoyed the tribute, which feature Billy Joel songs as well as songs by Elton John and other artists. Charismatic, caring and ambitious, that’s how Patricia “Pattie” Hulmes’ co-workers describe her. Hulmes, of Rocky Point, never thought her positive attitude was anything to fuss over, until she was awarded the Living the Mission Award in early July, by her co-workers at the Catholic Health Services. As the office manager of revenue cycle at CHS, Hulmes oversees several employees. She joined CHS in 2007 and despite her workload, Hulmes always makes the time to ensure the well-being of those surrounding her and she does it with a smile on her face. Palazzo and Hulmes have known one another for seven years and Palazzo, like other individuals working alongside Hulmes, believe she is the perfect candidate for the award. CHS created the Living the Mission Award several years ago with the goal of acknowledging employees for exemplifying the company’s values of respect, integrity, justice and excellence. Saying good morning and greeting people throughout the building is second nature for Hulmes, so receiving the award was a shock. “She’s quite surprised because that’s her way of life, and the sad part is, not everybody is like she is,” Susane Lim said about Hulmes. Lim is one of Hulmes’ system directors at the company. Within the seven months they have known one another, Hulmes is one of Lim’s favorite people at work. To nominate an employee for this annual award, employees must select one of their peers and discuss why they embody the company’s values on an online application. A small ceremony is held for recipients of the award. CHS President and CEO Alan Guerci presented Hulmes with the award during the ceremony. Although Hulmes does not deal with CHS patients, she helps patients receive affordable care. CHS helps members of the community that can’t afford traditional health care. The company helps find sources that can offset the cost of an appointment for the patients it serves. According to Lim, the company has a variety of plans for those who can’t afford health care. The plans also take the individual’s income into consideration. But working at CHS isn’t the only way Hulmes likes to give back to her community. Hulmes is also a member of St. Anthony’s Parish in Rocky Point. She reads at mass and also teaches religion to children preparing for confirmation. While Hulmes said she tries to “sit back and have things come to [her],” she checks the parish’s bulletin to see where she can help her community. The bulletin has led her to unique experiences like Clown Ministry, where church members or those who work at nursing homes or day care centers dress up like clowns and visit different parts of the community. Hulmes said dressing up can help people who struggle to communicate. The costume may help them relax and be more comfortable. “We have different layers of relationships in life … but I think once we figure out how to go beyond that and love the community, to love the people we work with, to love the people we don’t know or haven’t met yet, I think that’s when … we can truly grow and evolve and make a difference in the world, and I think that’s what’s most important to me,” Hulmes said. Hulmes’ attitude has made a difference in the lives of some of her co-workers as well, as she reminds her co-workers to enjoy themselves and that they can count on her if they need anything. “She helps us remember that we’re all human and that we all need to laugh and we have more important reasons for being here,” Lim said. After a tumultuous year at the Smithtown Animal Shelter, a new director has been appointed and a fresh start seems certain. The Smithtown Town Board has voted in Susan Hansen, of Rocky Point, and she began her new post on Wednesday, Aug. 5. “I’ve been an animal advocate for as long as I can remember, and I want to make a difference,” Hansen said in a phone interview. Hansen has volunteered at multiple animal shelters including Manhattan Shelter, Brookhaven Municipal Animal Shelter, the Riverhead Municipal Animal Shelter and the North Fork Animal Welfare League. But she has done more than just volunteer; she is also the founder of a nonprofit animal welfare organization that promotes shelter reform. A Better Shelter Inc. provides assistance to local animal welfare organizations, shelters and communities through fundraising, adoption efforts and TNR, or trap, neuter, return. TNR is a proven method to help control the feral cat population. Hansen’s expertise goes beyond animal advocacy; she has been a computer programmer for more than 20 years and hopes to bring her understanding of computer programs to the animal shelter, to update record keeping. “I want to use my experience with computers and computer programs to help integrate old procedures and policies with new ones, and make the shelter a more welcoming and friendly environment,” Hansen said. Smithtown Councilwoman Lynne Nowick (R), who took on the role of animal shelter liaison earlier this year, was a part of the decision to bring in Hansen. “She’s going to bring this shelter into the 21st century and set up new procedures and policies, including a new volunteer training program which will be much more intensive,” Nowick said in a phone interview. The volunteer training program would help teach volunteers that aren’t familiar with certain animals how to interact with them and set certain age groups with certain hours to volunteer. “Usually animals are kept separate, I want to introduce play groups, and make this a more progressive shelter,” Hansen said. She hopes that this new volunteer program would lead to an increase in adoption rates. Nowick felt one of Hansen’s most unique skills she brings to the shelter is that she is a grant writer. If the shelter was able to apply for and receive grants, then new opportunities could be brought to the shelter, like getting a vet to visit the shelter two to three days a week, or having a behaviorist come to evaluate the animals and prepare them for adoption. “Our mission isn’t to be a shelter, it’s to be a middle home, to get pets adopted,” Nowick said. Hansen has worked with the Suffolk County Department of Public Works as a grant analyst, where she provided support for federal and state grants awarded to Suffolk County. The previous director, George Beatty, 62, stepped down in June, after more than 30 years, following heavy criticism from Smithtown residents. Citizens deemed Beatty’s leadership role inadequate and the conditions animals lived in and were cared for at the shelter unacceptable. “I was aware of what was happening with the shelter, and I recognized that there was a need for change there,” Hansen said. A 2004 Ford Explorer was stolen after its owner left the vehicle and went to an ATM on Route 112 in Port Jefferson Station on July 26 at around 1 a.m. A wallet containing credit cards was left in the car, and police said the cards were used. An unknown masked man demanded money and took off with the whole cash register from the Kool Mart on Hallock Avenue in Port Jefferson Station, at around 9:20 p.m. on July 21. A wallet left behind at a 7-Eleven on Old Town Road in Port Jefferson Station didn’t make it back to its owner. Police said the owner reported returning to the convenience store on July 20 to find someone else took it. A 51-year-old Port Jefferson Station woman was arrested and charged with leaving the scene of an incident involving property damage on July 21. According to police, the woman was driving a 2013 Chevy Traverse on July 1 in Setauket when she struck the right side of the rear bumper on a 2006 Honda minivan and fled the scene. A resident on Main Street in Port Jefferson awoke to glass breaking at around 3 a.m. on July 26 and reported a door pane had been broken. A man was knocked unconscious on West Broadway in Port Jefferson at around 1:40 a.m. on July 25. Police said the man was punched in the face, fell on the pavement and struck his head. He was transported to a local hospital for medical treatment. A woman who had dropped her cell phone in a Miller Place parking lot on Route 25A on July 20 reported that someone else claimed and took the phone before she returned. A Garden Road resident in Rocky Point returned home on July 20 at around 3:30 p.m. to find the front door open and several items, including two flat-screen TVs, jewelry and an Xbox 360, stolen. At around 8:30 p.m. on July 25, a man entered a Game Stop in Centereach and demanded cash. Police said he displayed what appeared to be a weapon wrapped in a white cloth. The store clerk obliged and the man fled with cash. At around 10:30 p.m. on July 21 an unknown person or persons broke through the wall of a Middle Country Road store in Centereach to gain entry to the adjacent shop and attempted to pry open a vault there but was unsuccessful. Someone stole a leather wallet from a 2006 Toyota parked at the Suffolk Diner in Centereach at around 1 p.m. on July 20. A 24-year-old Middle Island woman was arrested in Selden on July 22 and charged with second-degree forgery after she forged a signature on a personal check and chased it. A Clearview Avenue resident in Selden reported on July 24 that between 1 and 6 a.m. someone stole a 2005 Yamaha ATV from the backyard. Police said a 22-year-old man from Setauket was arrested in Stony Brook on July 25 at 1:42 a.m. and charged with driving while intoxicated. Police said the man was pulled over driving north on County Road 97 in Stony Brook because he was speeding. A 23-year-old woman from North Massapequa was arrested in Stony Brook on July 24 and charged with driving while intoxicated after being involved in a motor vehicle crash. Police said the woman was driving a 2014 Nissan southbound on Quaker Path in Stony Brook at about 6 p.m. when she was involved in the crash. Someone entered an unlocked 2010 Honda Civic parked at a Bentley Lane home in Stony Brook on July 25 and stole an iPad tablet. The incident occurred sometime between 5:13 and 8 p.m. Someone stole money from the Chase bank account of someone who lives on Pheasant Court in Stony Brook. The incident happened sometime around 9:18 p.m. on July 24. Someone entered a locked 2012 Infiniti by shattering the rear driver side window and stole money from the car. The car was parked at World Gym in Setauket on Mark Tree Road. The incident happened sometime between 2 and 3 p.m. on July 24. Police said a woman reported that a man punched her in the face while at Stop & Shop on Route 25A in Setauket-East Setauket on July 24 at 9 p.m. She said the punch caused a cut lip. A 32-year-old man from Medford was arrested in Smithtown on July 25 at about 2:30 a.m. and charged with driving while intoxicated. Police said he was pulled over at Route 25 and Terry Road in Smithtown after failing to stop for a red traffic light. Police said a 34-year-old man from Nesconset was arrested on July 23 at 12:07 a.m. and charged with driving while intoxicated. According to police, the man, who was driving westbound on Lake Avenue in Nesconset, was pulled over after he failed to signal left and was observed speeding. A 20-year-old woman from Setauket was arrested in Nesconset on July 23 and charged with driving while intoxicated. Police said she was driving eastbound on Route 25 at 2:20 a.m. in a 2009 Jeep and failed to maintain a single lane of travel, driving onto the shoulder of the road. Someone stole a jewelry box on the bathroom vanity of a home on Nissequogue River Road in Smithtown sometime between July 25 at 10 a.m. and July 26 at 9 a.m.
A woman from Madison Street in Smithtown told police she gave someone a deposit on what she thought was a six-night stay at a hotel, but the person had no connection to the hotel. The bank transfer occurred on July 17 at about 10 p.m. Tires and rims were stolen off of a 2015 Chevy parked at Enterprise Rent-A-Car on East Main Street in Smithtown on July 21 at 8:45 p.m. Someone took Ray-Ban and red Maui Jim sunglasses and jewelry by breaking a rear driver-side window of a BMW parked at Carrabba’s Italian Grill on Smithtown Bypass in Smithtown on July 22. An unknown person made graffiti at the R.J.O. Intermediate School on Old Dock Road in Kings Park by spray-painting two walls sometime between noon and 1:49 p.m. on July 25. Someone stole a 2009 Cadillac containing property from St. Johnland Nursing Center on Sunken Meadow Road in Kings Park sometime on July 23 at 11:20 p.m. to July 24 at 8:30 a.m. Someone damaged the left taillights of two vehicles on Ellen Place in Kings Park on July 23 sometime between 11:30 and 11:45 p.m. There have been no arrests. Mosquito samples from Port Jefferson Station, Rocky Point and East Northport have tested positive for West Nile virus, Suffolk County Health Services Commissioner James Tomarken announced on Friday. In total, six mosquito samples tested positive for the virus, bringing this year’s total to 13. While the insects were infected, no humans, horses or birds have tested positive for the virus in Suffolk County this year. Two samples collected from Port Jefferson Station on July 14; one sample collected from Rocky Point on July 16; and one sample collected from East Northport on July 17 tested positive, according to a press release from the health services department. Two other samples were gathered from Copiague and Dix Hills. West Nile virus was first detected in birds and mosquito samples in Suffolk County in 1999, and is transmitted to humans by mosquito bites. According to the Center for Disease Control, 70 to 80 percent of those infected with the virus do not develop any of the symptoms, which can include fever, headache, body aches, joint pains, vomiting, diarrhea and rash. Severe cases — less than 1 percent of infections — could lead to a neurological illness. Tomarken said while there is no cause for alarm, his department is asking residents to help in their efforts to reduce the exposure to the virus. First, residents should try to eliminate stagnant water where mosquitoes breed. Popular breeding grounds include tin cans, plastic containers, ceramic pots, discarded tires, wading pools, wheelbarrows and birdbaths. In addition, residents can make sure their roof gutters are draining properly, clean debris from the edges of ponds and drain water from pool covers. To avoid mosquito bites, residents should minimize outdoor activities between dusk and dawn, cover up when mosquitoes are most active, use repellent and make sure windows and doors have screens in good repair. To report dead birds, which may indicate the presence of the virus, residents should call the county’s West Nile virus hotline at 631-787-2200 from 9 a.m. to 4 p.m., Monday through Friday. Residents are encouraged to take a photograph of any bird in question. To report mosquito problems or stagnant pools of water, call the vector control division at 631-852-4270. For medical related questions, call 631-854-0333. A group of young men were arrested in the early morning of July 16 and charged with second-degree robbery. According to police, a homeless 24-year-old, a 19-year-old from Stony Brook and an 18-year-old from Port Jefferson Station forcibly stole money from a person on Route 25A in Port Jefferson Station. An unknown man pushed a woman to the ground and stole property from her by a bar in Port Jefferson Station on July 15 at around 4:15 a.m.
Police arrested a 35-year-old Port Jefferson Station man in Port Jefferson on July 13 and charged him with second-degree criminal possession of a loaded firearm, third-degree possession of a narcotic with intent to sell, first-degree leaving the scene of a crash and second-degree obstructing government administration. According to police, at around 4:58 p.m. the man was instructed to shut down his vehicle when stopped at Old Town Road but instead drove north on Jayne Boulevard at a high speed. When he attempted to make a right onto Maple Avenue, he failed to stay to the right and collided with a 2013 Nissan, whose driver required medical attention. The man then fled on foot until apprehended by police. Police said the man possessed a loaded semiautomatic weapon and heroin. An unknown person stole a bike right off the rack from the The Port Jeff Bike Dr. on Main Street in Port Jefferson on July 19, at around 2:10 p.m.
A woman assaulted another woman in the female bathroom at Portside Bar and Grill in Port Jefferson on July 18, at around 2:30 a.m. According to police, the suspect thought the victim said something negative about her, so she punched her. The victim was transported to John T. Mather Memorial Hospital in Port Jefferson to receive medical treatment. No arrests have been made. A 25-year-old Rocky Point man was arrested in Port Jefferson and charged with disorderly conduct on July 18 after he engaged in a fistfight with security personnel at Billie’s 1890 Saloon on Main Street. Two co-workers at Heritage Diner in Mount Sinai were involved in a tiff on July 18. Police said one worker swung a utensil at the other, causing a laceration to the person’s face. No arrests have been made. An unknown person broke the front door of a CVS Pharmacy on Route 25A in Miller Place on July 16, at around 2:17 a.m., and fled with the cash register. An unknown person drove across a lawn on Harrison Avenue in Miller Place on July 15 at some point between 10:45 p.m. and 11:30 p.m.
A Hawkins Road home in Centereach reported a broken window above a front door on July 16 at 11 p.m. The damage was thought to be caused by a softball. A 2013 Honda parked at a Ulrich Road home in Centereach was robbed of a wallet and credit cards at some point between July 14 and July 15. A woman was given a field appearance ticket after attempting to take property from a Bob’s Store in Selden on July 19 at around 2 p.m. Police said the culprit tried to conceal a bathing suit and blender bottle in her bag. Police said two men from the Bronx were arrested in South Setauket on July 15 and charged with third-degree burglary and possession of burglar tools. According to police, the men entered a Dunkin’ Donuts on Nesconset Highway at about 1 a.m. on July 15 and attempted to break into a safe. Police said they possessed a sledgehammer, a wedge tool and a pry bar. Does this gift card buy drugs? Two men were arrested on Pond Path in Setauket-East Setauket on July 15 and charged with loitering and unlawful use of a controlled substance. Police said the men, one 23 and the other 34 years old, were observed in a 2014 Honda at about 1:20 p.m. Police said the 23-year-old was observed exchanging a Home Depot gift card for heroin. The other man was seated in the passenger seat and possessed heroin. An 18-year-old man from East Setauket was arrested on July 15 at 6:37 p.m. at his home and charged with two counts of second-degree burglary of a dwelling and one count of petit larceny. Police said that sometime between Feb. 1 and 28 the man stole master keys to an apartment complex on Jefferson Ferry Drive in South Setauket. Sometime between March 22 and March 31, he entered a residence using the stolen keys and stole property. He entered another Jefferson Ferry Drive residence on March 29 and stole jewelry. Someone broke the passenger-side front window of a 2015 Mercedes parked at AMC Loews Stony Brook 17 theater on Nesconset Highway in Stony Brook and stole Beats by Dre headphones, cash and cologne between 9:40 and 11:54 p.m. That same day, someone broke the window of a 2006 Ford F350 between 8 and 11:35 p.m. and stole tools from the same location. Someone broke the rear passenger-side window of a 1994 Plymouth Voyager parked outside a home on Hollow Road in Stony Brook sometime between 8 p.m. on July 16 and 10 a.m. on July 17. Someone snatched a jewelry box containing jewelry that was inside an unlocked 2006 Mercedes parked on Spring Meadow Road in Setauket-East Setauket sometime between 3:25 and 4:25 a.m. on July 19. There have been no arrests. Someone ripped off the driver-side handle on a 2015 Ford Mustang parked on Adams Way at the Sayville Commons parking lot in Sayville. The incident happened on July 19 sometime between 12:05 and 12:50 p.m. Someone took an iPhone 4 and cash from an unlocked 2014 Honda CRV sometime between 6 p.m. on July 14 and 7 a.m. on July 15. Suffolk County police are investigating a motor vehicle crash that killed a Bohemia bicyclist in Lake Ronkonkoma on Tuesday evening. Laura Heerbrandt, 23, of Ronkonkoma, was driving a 2014 Nissan eastbound on Portion Road when her car struck Luis Benitez, 51. According to police, Benitez swerved into her lane of traffic as he was traveling westbound on Portion Road. Benitez was pronounced dead at the scene by a physician assistant from the Office of the Suffolk County Medical Examiner. Heerbrandt was not injured. The vehicle was impounded for a safety check and the investigation is continuing. Detectives are asking anyone with information about this crash to contact the Fourth Squad at 631-854-8452. A masked man robbed a 7-Eleven in Hauppauge early Monday morning, injuring the clerk on duty. According to the Suffolk County Police Department, the masked suspect, who was also wearing a black hooded sweatshirt, black pants and sunglasses, entered the convenience store on Townline Road shortly before 2 a.m., displayed what appeared to be a gun and demanded cash from the clerk. After the clerk complied, giving him cash from the drawer, the assailant fled on foot, heading west on Townline. The clerk suffered a minor injury during the holdup, police said. He was treated at Stony Brook University Hospital and released. Police described the robber as being about 6 feet tall and having a thin build. Detectives from the SCPD’s 4th Squad are investigating the robbery. Anyone with information is asked to call them at 631-854-8452 or to call Crime Stoppers anonymously at 800-220-TIPS. Suffolk County police and 4th Precinct Crime Section officers are seeking the public’s help in identifying and locating a man who stole merchandise from a Commack store last month. The man stole assorted men’s clothing from Kohl’s at 45 Crooked Hill Road on June 2 at about 6:15 p.m. The clothing has a value of about $400. Suffolk County Crime Stoppers offers a cash reward of up to $5,000 for information that leads to an arrest. Anyone with information about this crime is asked to call anonymously to Crime Stoppers at 1-800-220-TIPS. All calls will be kept confidential. Things got a little crazy on Woodhull Avenue in Port Jefferson Station on July 4, at around 10:05 p.m., when someone threw items at a 2013 Hyundai and damaged a car door. An unknown person slashed the driver side tire of a 2007 Hyundai parked on Route 112 in Port Jefferson Station on July 3. A woman reported being harassed by a cab driver on June 30 at around 3 p.m. According to police, the complainant said she called a cab service to pick her up from a dollar store in Port Jefferson Station, but the driver refused to take her. He then allegedly pushed her and took her grocery bags out of the cab and drove away. An unknown person stole cash from the register at L.I. Pour House Bar and Grill in Port Jefferson Station on June 29 at around 1:30 a.m.
A Mount Sinai Grasslands Circle resident reported their mailbox and garage door had been damaged by some sort of explosives on July 3. An unknown person took a 2006 motor from a boat moored in Mount Sinai Harbor on July 5 at some point between midnight and noon. There were two separate road rage incidents in Centereach last week. According to police, on July 2, a victim was driving northbound on Nicolls Road by Hammond Road in Centereach when they encountered the suspect, who, at some point, punched the victim in the face. The suspect took off. Two days later, on July 4, a female driver reported that while at an exit ramp of Nicolls Road in Centereach, six males on motorcycles began kicking her 2013 Hyundai and slashed its tires. A Fountain Avenue in Selden resident, outside his home on June 30, reported seeing someone walking with a satchel or pillowcase on his street. When he returned to his apartment, he found the suspect inside his residence. The two began fighting and the suspect fled with a stolen silver bracelet, kindle and phone charger. A 21-year-old Mount Sinai resident was arrested in Selden and charged with DWI-first offense on July 3. According to police, the man was pulled over after he failed to stop at a stop sign while driving a 1998 Honda northbound on Bicycle Path. A 26-year-old Sound Beach man was arrested in Selden and charged with seventh-degree criminal possession of a controlled substance and fourth-degree grand larceny. According to police, he was arrested on July 2 and was found in possession of Xanax without a prescription. Police said the man is also accused of breaking into a 2010 Volkswagen on June 25 in Port Jefferson and stealing a pocketbook containing credit cards. Suffolk County Police are seeking the public’s help in identifying and locating a man who allegedly robbed a Centereach bank in June. On Friday, June 26, a man entered the People’s United Bank, located on Middle Country Road, approached a teller at approximately 11:30 a.m. and presented a note demanding cash. The teller complied and the man fled on foot. Police described the suspect as white, between 45 and 50 years old and approximately 5 feet 7 inches tall with a heavy build. He was wearing a black T-shirt, dark jeans, sunglasses and what appears to be a dark-colored baseball cap. Someone stole keys and Yu-Gi-Oh! collector cards from a 2009 Hyundai parked at AMC Loews Stony Brook 17 on Nesconset Highway in Stony Brook sometime between July 3 at 10:45 p.m. and July 4 at 1:30 a.m. There are no arrests. Someone took a Louis Vuitton pocketbook, cash, a wallet and clothing from a 2015 Toyota 4Runner parked in the lot at Marshall’s on Nesconset Highway in Stony Brook. The incident happened sometime between 5 and 6 p.m. on July 1. Police said someone took an Apple Macbook Pro computer from an unlocked 2002 Nissan Altima sometime between 6 and 7 p.m. on July 1 on Nesconset Highway in Stony Brook. There are no arrests. A Setauket woman who is a resident of Francis Street told police on July 1 that she was the victim of a phone scam. She said someone called her saying her grandson was arrested after being involved in a car crash and that she needed to send money to get him home. She sent money via MoneyGram. Someone stole the identity of an Upper Sheep Pasture Road man from Setauket-East Setauket and took money from his JP Morgan Chase checking account. Police said the incident occurred sometime between June 2 at 9 a.m. and June 30 at 2:05 p.m.
Suffolk County Police are seeking the public’s help in identifying and locating a couple who are wanted for questioning in a grand larceny investigation in Commack. A man and woman were shopping in Dress Gala, located on Jericho Turnpike, on May 21 at approximately 5:10 p.m. when the man reached into an employee’s pocketbook and stole credit cards. Police said a 42-year-old man from Hauppauge was arrested on July 5 at the 4th Precinct and charged with petit larceny. According to police, the man stole a garbage pail, sleepwear, lunch bag, socks and other clothing from Walmart on Veterans Memorial Highway in Islandia on July 5 at 11:53 a.m.
An 18-year-old man from St. James was arrested on July 3 at the 4th Precinct and charged with fifth-degree criminal possession of stolen property. Police said that the man had $50 that belonged to someone else. The alleged crime occurred on Old Dock Road in Kings Park on July 1 at 11:30 p.m., police said. Police arrested a 20-year-old Commack man in Smithtown on July 2 and charged him with driving while ability impaired by drugs and alcohol — the drug being marijuana. Police said that on July 2 at 12:12 a.m., on Route 25A at West Jericho Turnpike in Smithtown, the man was driving a 1997 Ford and failed to maintain his lane. He was arrested at the scene. A 50-year-old man from Middle Island was arrested at the 4th Precinct on July 2 and charged with lewdness — exposing his body in public. Police said the man exposed his private parts on June 30 while parked in a car at 7-Eleven on Motor Parkway in Hauppauge at 1:02 p.m.
Police said they arrested a 27-year-old man from Astoria on July 1 who punched another man in the face while he was sitting in a chair at Napper Tandy’s on East Main Street in Smithtown on May 24. The man required medical attention for his injuries. The 27-year-old was arrested at the 4th Precinct at about 5:25 p.m.
Two men who were involved in a car accident on Route 347 in Smithtown got into a fit of road rage, according to police. One man got out of the car and started yelling at the other man, grabbing him. The two eventually punched each other. Both plan to press charges, police said. The incident happened westbound on Route 347 on July 2, between 3 p.m. and 5 p.m.
Suffolk County Police arrested three individuals in connection with stealing 12 Apple iPads from Walmart on Crooked Hill Road in Commack on Aug. 25, 2014 at about 7:30 p.m. Police said a 20-year-old woman from Bay Shore, a 24-year-old man from Waterbury and a 32-year-old woman from Bellport were all charged with third-degree grand larceny. Each in the trio was arrested on different dates ranging from May 18 to June 27. A 23-year-old man from Kings Park was arrested in Smithtown on June 28 and charged with third-degree assault with intent to cause physical injury. Police said that on Nov. 16, 2014, at about 12:21 a.m., the man hit another man on the top of his head, causing a laceration. The incident happened on Pulaski Road in Kings Park. The victim had to go to St. Catherine of Siena Medical Center in Smithtown. Suffolk County Police arrested a 66-year-old man from Nesconset on June 27 and charged him with driving while intoxicated and leaving the scene of an accident where there was property damage. Police said the man, who was driving a 2002 Jeep, struck a 2005 Jeep three times on Route 347 in Nesconset at 10:12 p.m. on June 27, causing damage. He then fled the scene without exchanging information, and was later stopped and charged with driving while intoxicated. Police arrested a 24-year-old man from Nesconset on June 25 and charged him with petit larceny. Police said the man stole merchandise — they couldn’t say exactly what — from a CVS on Middle Country Road in Centereach on May 15 at 5:44 p.m. He was arrested at his home on Truval Lane at about 6:30 p.m.
A 63-year-old woman from Kings Park was arrested at her home on Kohr Road for first-degree leaving the scene of an accident and failing to show license/identification. The woman was arrested on June 28 for an incident that occurred on June 18 at 4:35 p.m. Police said the woman, who was driving a 2010 Nissan, backed into a 2014 Lexus on Broadhollow Road in Melville and fled. Police arrested a 23-year-old man from Northport on June 27 and charged him with possession of a hypodermic instrument. Police said the man possessed hypodermic syringes in his vehicle on Pulaski Road in Kings Park on June 27 at 12:26 p.m. He was arrested at the scene. Someone reported to police that windows were broken on a vacant building located on Maple Avenue in Smithtown sometime between June 2 and June 28. There are no arrests. A garbage pail full of yard debris on Dewey Street in Port Jefferson Station was burned at some point between June 27 and June 28. A 24-year-old man was arrested in front of Junior’s Spycoast bar on Main Street in Port Jefferson at around 2:30 a.m. and was charged with second-degree harassment after he pushed and attempted to punch a police officer. Between June 25 at 6 p.m. and June 26 at 10:30 a.m. an unknown person took items, including a Michael Kors bag and money, from a Volkswagen and a Toyota parked on Jamaica Avenue in Port Jefferson. A Mount Sinai resident reported on June 26 that a high-school-aged girl threatened a male student over Instagram. The front fender of a Harley-Davidson parked at a Pipe Stave Hollow Road residence in Mount Sinai was damaged at some point between June 22 and June 24. A 2014 Toyota’s paint was damaged while parked at a residence on Oakland Avenue in Miller Place on June 25 between 1 a.m. and 9 a.m.
A North Country Road homeowner in Miller Place reported on June 24 that the panel of a back door was damaged and a person possibly went through items in their home. A security guard at the beach off of Friendship Drive in Rocky Point was struck in the head by a bottle. According to police, at around 10:40 p.m. on June 24, the guard had asked a group of youths to leave the beach and the individuals started throwing bottles. The guard wasn’t injured and no arrests have been made. A customer at a Centereach Goodyear Service Center was accused of harassment and causing public alarm after he entered the Middle Country Road business on June 28 and demanded his car be fixed. The man then pushed the complainant after being told he would have to wait. A 29-year-old man was arrested on Imperial Drive in Selden on June 24 after he went to a residence and ran up to the complainant, swinging his fists, and then wrestled the man to the ground. The man is charged with second-degree harassment. Police said a group of teens damaged a fence in the parking lot of McDonald’s on Nesconset Highway at Stony Brook. There are no arrests. Someone broke in through the side door of Dunkin’ Donuts on Main Street in Setauket-East Setauket and stole money, sometime between 11 p.m. and 3:30 a.m. from June 27 to June 28. There are no arrests. Someone entered a boat docked at Setauket Harbor and stole safety flairs and a toolbox, sometime between June 20 and June 28. There are no arrests. Someone lifted a packaged delivered to a home on Old Town Road in Setauket-East Setauket sometime between June 26 and June 27. There are no arrests. Police said someone keyed a 2008 Cadillac Escalade parked at Walmart on Nesconset Highway sometime between 7:30 a.m. and 3:30 p.m. on June 25. Rocky Point High School seniors can now call themselves graduates, as the school held its commencement ceremony on Friday, June 26. Erin Damers and Casey Williamson sang the National Anthem, while exhortation speaker, Brittany Rinaldi, gave the first of student speeches, followed by Salutatorian Joseph Niver and Valedictorian Lauren McBrearty. Superintendent Michael Ring addressed the crowd and reminded parents of how fast time goes by and reminded students that one day they’ll wake up and that their high school classmates will be running the country. Principal John DeBenedetto also said a few words, telling students they can accomplish a lot if they don’t care who gets the credit. Three of Rocky Point High School’s finest are at the helm of Rocky Point’s graduating class of 2015. Lauren McBrearty came in on top as the Rocky Point’s valedictorian. She will attend Cornell University in the fall, but is undecided about her major. She kept herself busy throughout her high school career with jazz band, pit orchestra, chorus, mock trial, varsity soccer, National Honor Society and the New York State Math Honor Society. McBrearty was also co-editor in chief of her yearbook and a rank and section leader in marching band. The busy student has taken 19 Advanced Placement classes and is an AP Scholar with Honors and a National Merit Scholarship Program Commended Student. McBrearty said she got to where she is today with a lot of hard work and self motivation. Joseph Niver is this year’s salutatorian and will attend Vassar College to study political science. He was involved with the track team, cross country team, National Honor Society and the New York State Math Honor Society. He was also the president of the Science Club. Niver took 19 AP classes in high school and is an AP Scholar with Honors. He was named a 2015 NMSP Commended Student. He attributes his success in school to hard work and luck, and reminisced about going to Relay for Life every year and attending football games. Brittany Rinaldi is number three in her class and this year’s exhortation speaker. She is going to the United States Military Academy at West Point in the fall, where she’ll play lacrosse. She was inspired to go to West Point after the school’s lacrosse coach contacted her. She said she fell in love with the school when she visited. During high school, she was part of Athletes Helping Athletes, National Honor Society and New York State Math Honor Society. Rinaldi was also vice president of the Leaders Club and captain of both her varsity basketball and lacrosse teams. She said she achieved her goals by continuously keeping herself busy with sports and clubs, and also constantly studying.